James Fenimore Cooper was an established early nineteenth century American writer. He prolifically penned historical fiction and was a major proponent of Romanticism. He is famous for writing a romantic masterpiece, The Last of the Mohicans. Born on September 15, 1789, Cooper grew up in Burlington, New Jersey. He was the eleventh child of William Cooper and Elizabeth Cooper. He was named after his grandfather who emigrated from England to America. Cooper’s family briefly lived in New Jersey and moved to New York. In 1802, he got enrolled at Yale universit. Though, he could not attaina degree because he was expelled in his senior year for playing a prank that did a considerable damage to Yale’s hostel. Disheartened at his expulsion from college, he served with the crew of a merchant vessel as a sailor. By the time he turned 21, he had been promoted to the post of midshipman in the United States Navy. In 1811, he got married to Susan Augusta de Lancey and some of their children also made their name in American literature. It was a wager placed by his wife that had him writing his first novel, Precaution. He anonymously published the novel in 1820. It is inspired by Jane Austen’s approach to fiction concerning morals and manners. Following the publication of his first novel, he wrote several others. In the Leatherstocking series he produced the first novel, titled The Pioneers, in 1823. It was a historical novel set at the frontier of New York State. The novel featured a resourceful American woodsman, Natty Bumppo. Cooper focused on the environmental issues and conservation in the evolving New York, transforming from wilderness to civilized communities. 1826 was marked as the successful year for Cooper as he published his key work, The Last of the Mohicans. It is considered to be one of the most widely read book in America during nineteenth century. It was the second installment in the Leatherstocking Tales featuring Natty Bumppo’s character. The story was set during the French and Indian War which was fought between France and Britain to rule North America. It had been criticized for its formal prose style and length. However, the years to come brought it huge fame and appreciation and till now it is widely read and has been adapted for big and small screen. By 1832 Cooper was deemed a political writer. During his stay in France he wrote letters to Le National defending America against charges levied by the Revue Britannique. His political inclination became more apparent in his novel, The Bravo (1831) in which he criticized European anti-republicanism. Cooper portrayed Venice as the hub of oligarchy hidden behind the shadow of republicanism. Despite his brash take on republicanism, the novel failed to evoke warm response from American readers. On his return to America in 1833 he wrote A Letter to My Countrymen in which he criticized his compatriots for being involved in certain controversies. The works followed charts his travel experience in European countries. Cooper sketched a highly idealistic self-portrait in his Homebound which was received positively. 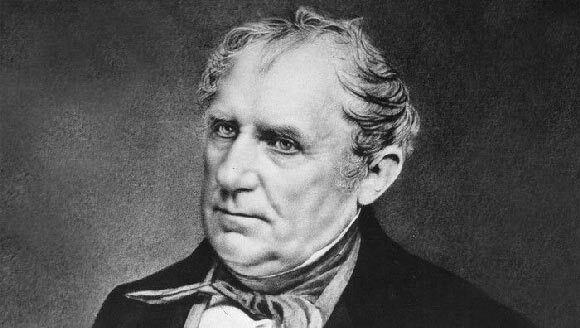 James Fenimore Cooper’s notable works include Littlepage Manuscripts, The Crater, or Vulcan’s Peak, A Life Before the Mast and Jack Tier. In his last days he suffered from a medical condition called edema and passed away at the age of 62 in 1851.